Ducati Forum - V4 Reservation Dealer Incentives ...? V4 Reservation Dealer Incentives ...? Im just curious what kind of Dealer incentives you guys are experiencing and OTD prices on the S and base model. 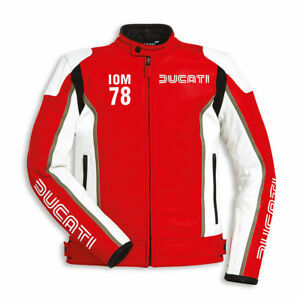 My preferred dealer (not local) is offering to the first 2 depositees* a free 2018 Dainese IOM 78 Leather jacket. And to me personally, no freight + set-up (which I've never paid) OTD on a base model. I think it's very enticing, what do you guys think? Only other thing I could ask is complimentary first service...but the Jacket is a great effort I think. With that said, who remembers when the Panigale first came out and Ducati handed out complimentary Indy GP12 tickets to the new owners so they had a good showing? THAT WAS AWESOME !!! True, and that is why you have to be prepared and let them know that you'll travel elsewhere for a fair/great deal. Nothing against all the honest dealers on here but, consumers rule !! I've traveled 8 hours one way to get the best deal before but, be prepared for some potential backlash from your "local dealer" especially if you decide to get it serviced there. Don't expect any "breaks" on those costs let alone any warranty issues lol . This is exactly why I started this thread, so potential buyers especially the less experienced/aggressive ones can walk into a dealer with a certain mindset. X amount in credit for parts? or first service is what I've been "offered" so far. I haven't hashed out the details of course. I want at least a Shorai battery and something else to walk away with. Honestly I'd take the service out of everything you've mentioned ..you can get a gel or lithium battery for $150, less if you're in the industry and get discounts. The first service is a glorified oil change worth 150-180. The dealer I'm buying from is about 30-40 mins away from my area so I have no intention of getting any sort of minor service done by them. That might be what its worth but, they charge upwards of $280. Also, I don't blame you but, are you willing to live with a service reminder every time you turn the key...because you haven't gotten the Service light cleared by a dealer (or someone with the software) ? Just giving insight. I have ducati specialists less than 15mins away from my house, they can shut off the code for me. Except over here they charge you for the first service but do nothing more then reset the light and stamp the book.